CHA is 3-0 SU and ATS over their last 3 home games. ORL is 3-6 ATS over their last 9 road games. The total has gone OVER in each of the last 4 road games for ORL. CHA is 26-15 SU at home this season. Both teams have covered the spread in greater than 54% of their games this season. SAS are 0-4 ATS over their last 4 home games. DAL is 6-2 ATS over their last 8 road games. DAL is 9-31 SU on the road this season. The total has gone UNDER in 7 of SAS last 10 games. Both teams have covered the spread in less than 47% of their games this season. PHI is 1-4 ATS over their last 5 games. The total has gone OVER in 4 of PHI last 5 games. CHI is 4-2 ATS over their last 6 games. NYK are 1-7 SU and ATS over their last 8 games. DET is 8-1 SU and 6-3 ATS as a road favorite this season. The total has gone OVER in 4 of DET last 5 road games. DET is 0-5 ATS over their last 5 games. Both teams have covered the spread in at least 50% of their games this season. This is only MIL 2nd game this season as a home underdog — 1-0 SU and ATS. MIL is 0-3 ATS over their last 3 home games. OKC is 11-13 ATS as a road favorite this season. The total has gone OVER in each of the last 9 games that OKC was a road favorite. The total has gone OVER in 4 of MEM last 5 games. MEM is 11-8 ATS as a home underdog this season. The total has gone UNDER in 8 of GSW last 10 road games. ATL is 7-3 ATS over their last 10 home games. ATL is 16-18 ATS as a home underdog this season. IND is 1-5 ATS over their last 6 games as a road favorite. IND is 1-9 SU over their last 10 road games. The total has gone UNDER in 8 of IND last 10 road games. Both teams have covered the spread in greater than 50% of their games this season. Both teams have covered the total in at least 50% of their games this season. The total has gone UNDER in 5 of BKN last 6 home games. MIA is 6-1 ATS over their last 7 road games. MIA is 25-16 ATS on the road this season. Both teams have covered the spread in greater than 55% of their games this season. POR is 2-6 ATS over their last 8 games. SAC is 2-4 ATS over their last 6 road games. The total has gone UNDER in 3 straight road games for SAC. Both teams have covered the spread in greater than 53% of these games this season. The total has gone OVER in 6 of LAC last 8 games. Utah is 4-0 ATS over their last 4 games as an underdog. Utah is 13-2 SU over their last 15 games. The total has gone OVER in 26 of LAC 40 home games this season. DEN is 25-15 ATS at home this season. MIN is 18-23 ATS on the road this season. MIN is 2-8 SU and ATS over their last 10 road games. The total has gone UNDER in 8 of DEN last 10 home games. *All odds and lines are subject to change. Become a BetQL subscriber to get up to the second line movement and sharp bettor data. 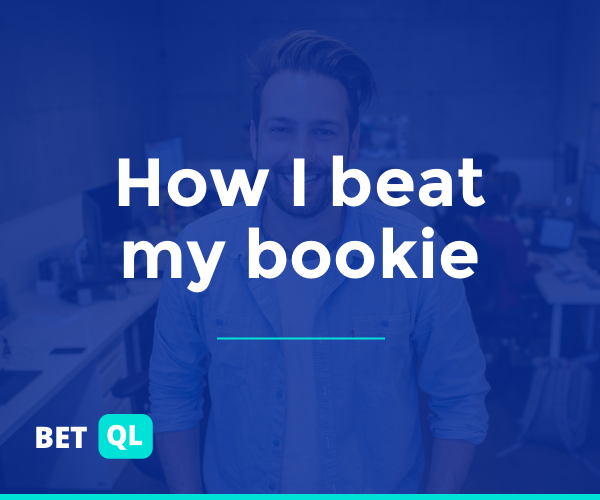 There’s plenty of strategy that goes into putting together a winning ticket, and the best place to start is the BetQL Mobile App. Our Trending Picks and Public Betting tools are a massive advantage when you’re making bets, regardless of bankroll size. I’m always there to help, too, so check me out on Twitter (@DFSBenj) for even more NFL, NBA, MLB and PGA daily fantasy content and sports betting content. Keep up to date with daily fantasy trends using our NBA DFS Lineup Optimizer that can build multiple winning daily fantasy lineups and provides data & insights you can’t find anywhere else.